It’s hard to believe, but we’re a month into the 100th Legislature. The Senate has already undertaken vital legislation, including Senate Bill 1, a measure to reduce Michigan’s highest-in-the-nation auto insurance rates. The goal of the legislation is to reduce the cost of auto insurance, offer more insurance options and ensure accident victims have the medical care they need. Tackling this problem is long overdue. We have also begun considering budget projections in preparation for submitting the Fiscal Year 2020 budget. We must do everything to ensure Michigan stays on the right track. I am thrilled to be working in the Senate on behalf of my constituents, and I would love to hear from you. My office is in Room 4500 of the Connie B. Binsfeld Office Building, located at 201 Townsend St. in Lansing, across the street from the Michigan Capitol at the corner of Townsend and Allegan. 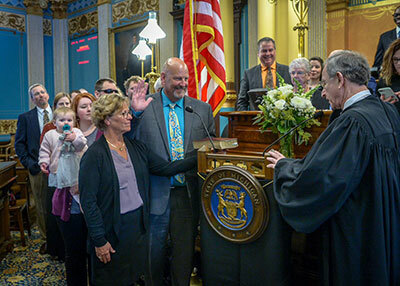 You can contact my office by phone at 517-373-1725 or by email at SenCVanderWall@senate.michigan.gov. The mailing address is Sen. Curt VanderWall, P. O. Box 30036, Lansing, MI 48909-7536. I recently introduced three bills that would enhance hunting activities in the state. Senate Bill 35 would require Youth Hunt participants to take a doe before they can take an antlered deer during the Youth Hunt weekend. SB 36 would allow for the transfer of a private-land antlerless deer license (a “doe tag”) to an immediate family member. 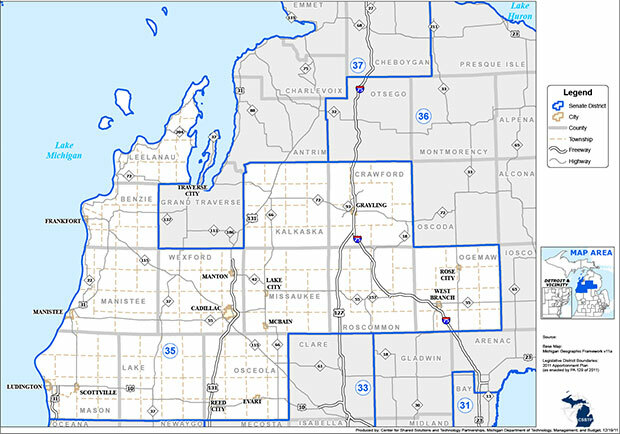 And SB 37 would reverse the Natural Resources Commission ban on baiting and feeding deer in the entire Lower Peninsula. All three bills have been referred to the Senate Committee on Natural Resources. I have also introduced Senate Bill 38, which would allow lottery winners to remain anonymous. SB 38 has been referred to the Senate Committee on Regulatory Reform. I look forward to working with my colleagues on both sides of the aisle to pass this legislation. I am honored to be assigned to seven Senate committees during the 100th Legislature — including leadership roles on three of them. I will chair the Health Policy and Human Services Committee, and I will serve as vice chair of the Economic and Small Business Development Committee and the Judiciary and Public Safety Committee. In addition, I will serve as a member of the following four committees: Elections, Environmental Quality, Finance, and Regulatory Reform. These committees cover a broad range of areas important to residents in the 35th District and across the state. 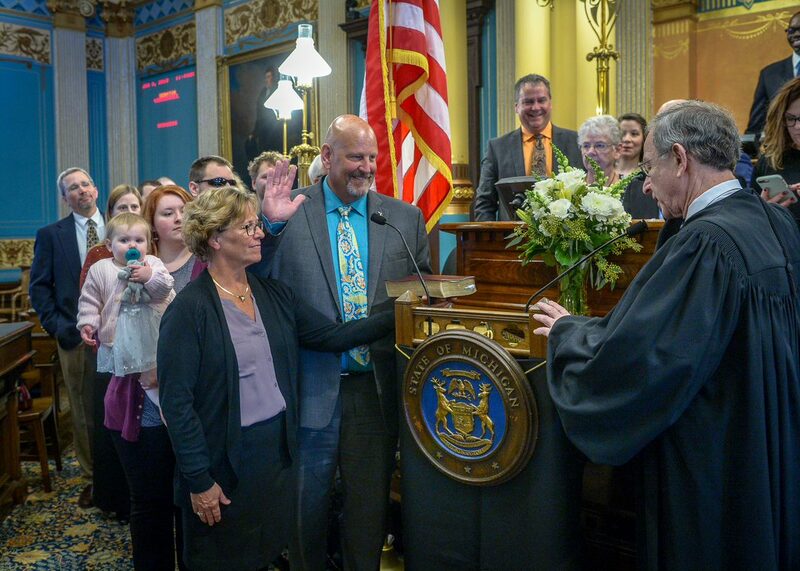 I am excited to serve and bring a northern Michigan perspective to the work of the committees. Thank you for subscribing to my electronic newsletter! I am honored to represent you in the state Senate. As always, please do not hesitate to contact me if you have any questions or concerns. Please feel free to forward this on to others who may be interested in receiving the 35th District E-news. You may sign up for it also at my website.